Hello everyone!! I hope you had a fabulous Christmas! We had a great day here. I have a new Pink Bind it All and plan on playing with it today since it's supposed to rain here. And hopefully, I will have a project to post tomorrow. As for today, I am posting my 1000 follower giveaway!! Thank you so much to all my followers!! Here is the beginning of the giveaway--I want to add some other things that I love, but did not make it to the craft stores yesterday. We've been enjoying our time off this week so far. So far, I have a Martha Stewart Branch Punch, Cricut Love You Latte Cartridge, My Pink Stamper Winter Punnies set and My Pink Stamper Winter Treats and Sayings set!! I will add a few more things as a surprise! Please just leave one comment for your chance to win and a way for me to contact you. The giveaway will be open until Saturday, December 31st. I will announce the winner on January 1, 2012--a great way to ring in the New Year!! Hello Everyone!! I just logged on and see that I now have 1000 Followers!! What a great day! Thanks so much to everyone who visits. I must finish getting ready for Christmas--I hope you all ahve a wonderfl holiday! Hi everyone! Today is day 8 on My Pink Stamper's 12 Days of Christmas. And for her post today, is my 1st ever video!! It was a super simple card for my 1st time, but it might inspire you if you need a quick card since there are only 4 days until Christmas. Here is a photo of the finished card. And make sure to head over to Robyn's blog to see the video and your chance to win some fun prizes!! I used My Pink Stamper's Biggie Christmas Sentiments, Art Philosophy Cartridge, Maraschino Twine from The Twinery and the iRock. Hello everyone! I have been so crazy trying to get everything that needs to be done for Christmas done, as I'm sure several of you have been too :) But I think that I am on the right track and feel a little more sane right now. Of course, it helps that my work is shut down already so I am on vacation today and the next 2 weeks -- LOL! Here is my Christmas card. I really went from making cards, to wanting to buy photo cards, to no cards, and finally just had to make some! Most of them are going out today and I hope to finish off writing a few more to also get in the mail. Nothing like last minute!! I used my Gypsy to flip the trees so the small tree was on the left. I then had to flip the snow cut that is at the bottome of it too. My goal was to have a pretty good card that wasn't too hard to put together. I made 30 of these in 2 days, so I think it went o.k. Don't forget that My Pink Stamper's 12 days of Christmas is going on right now. There are videos everyday (mine is on Wednesday) and lots of prizes. So be sure to check there every day! Hi everyone! I thought I would pop in to show you a few things I've made for my daughter to give out. I'm still not done--more food to make and bake :) I've made my 1st ever video!! It's going to be for My Pink Stampers 12 Days of Christmas!! Make sure to tune in every day on her blog so you can see all the fun she has in store for you. Here's some Mini M & M tubes I've made. There are 50 total, but they are not all done yet. The tags came from Very Merry Tags and the Holly Jolly is from My Pink Stamper Christmas Wishes set. Then I made 6 more of these fun Peppermint boxes which came from the Art Philsophy Cartridge and the tag from Very Merry Tags. Both projects have Maraschino Twine from the Twinery--Love that stuff!! Hi everyone! I have been so super busy lately as I'm sure so many of you are too. We worked for a week on making a Winter Wonderland in our office for a decorating contest. I had the perfect way to make snowflakes with my Cricut, of course! Here are some pictures of the finished room. We find out today who the winner is. My co-worker should be an interior designer! I made the 'snow' with fishing wire and cotton balls. I had found the idea on Pinterest--love that site! 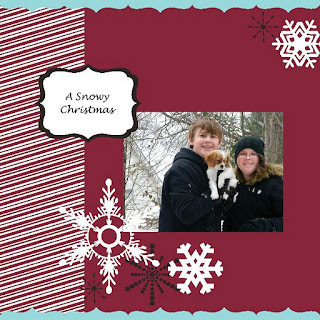 And I cut out lots of snowflakes with my Cricut. And I'm in the middle of several projects, which really need to be done in the next week since some of them are for people I won't see after next Friday. Hopefully, I can get some things finished this weekend and then that will give me some blog posts to show you! Hi everyone!! 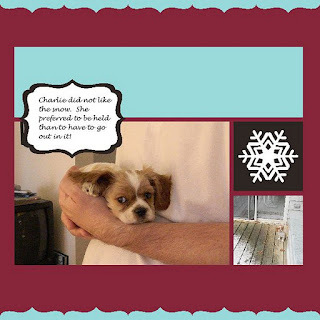 With Thanksgiving last week, and putting up Christmas decorations and a host of other things that need to get done, I am just now posting the TWO winners of the Klutz Stamp Arts books--so sorry it's a bit late! This looks like fun. I have a 12 year old daughter who would love this. She is forever doodling in and notebook she can find. What FUN!!! My daughters are 7 and 8 and would LOVE this book! They are always beggging to use my stamps and supplies...and I usually let them quite a bit. But this would be fun for them to have their own stuff to play with! Thanks for a chance to win! Congrats ladies!! Please send me your addresses so I can pass them on to the company--they will ship your books out to you. If you didn't win, don't forget that you can used this discount code KLUTZ4U at the KLUTZ site to get 20% off your entire order! Hi everyone! It a My Pink Stamper post day!! For today's post, we are showing you some of Robyn's newest sets, and a different fold card. Now, I have not done these before, but I decided to use the Easel card. This is a pretty easy one to do! Make sure to visit My Pink Stamper to see all the Design team's creative cards--I can't wait to see them too!! Klutz Stamp Art Review and Giveaway! Hi everyone! Today I have a Klutz Stamp Art review for you. I was sent a copy of this Activity Book to review and give my viewers a chance to win a copy! This is the perfect gift for kids ages 8 and up. I was especially happy to get this to review since I have a 12 year old daughter to help! This is the description from the company: Stamp Art makes stamping simpler -- and more creative -- than ever. Stick the included shapes on the see-through acrylic block to create your own one-of-a-kind stamp design. Full of inspirational artwork and instruction, this stamp-right-in-it book shows how to create animals, flowers, houses, aliens... anything you can dream up. My daughter played a bit with this book this past week. She has this whole week off, so I'm hoping she'll create some more fun for me to post later this week :) It comes with 3 double-sided colored pencils and a small black ink pad. The stamps were a little tough to get off the backing at 1st, but my daughter did it all herself and did not want me to help. They stick back on and come off much easier now. It's a really fun, creative activity! She stamped the big flower at the bottom, the rest were already on the page. 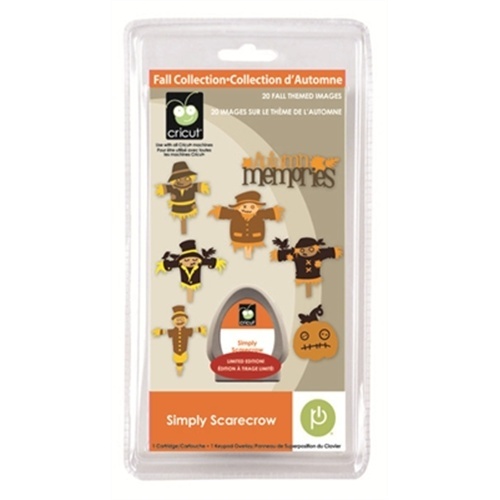 The book aslo suggests different things you can make such as bookmarks, cards, and ornaments. I tried to stamp one thing, but my daughter's were just so much better! 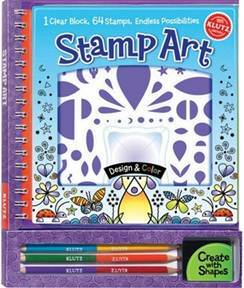 I will draw Two (2) winners -- each winner will receive one copy of Stamp Art ERV $21.99. Please leave your name and a way for me to contact you and I will draw the winners on Monday, November 28! Congrats Whitney! Send me your address at craftingcricutmom@gmail.com and I can get it out to you this weekend. Oh, and I am only 14 people away from 1000 followers--I can't believe it!! I have going to have a big giveaway when I hit that so stay tuned!! Hi everyone! It's the My Pinkalicious Bog Hop night!! If you have just come from Shelley, you are on the right track. But if you just happened upon my blog, be sure to start at My Pink Stamper to see all the fun projects the design team has made. I used Elegant Edges to make the pages, all cut at 6 inches square. Then I used my new Ribbons and Rosettes to decorate the front along with twine and My Pink Stamper From the Heart Set! The Rosette is cut at 1 1/2 inches, 4 times and glued together; twine is Marachino Twine from the Twinery. I only finished the 1st page of the album, but there are 6 pages total. To assemble the album, I used my hot glue gun the stick together and put in my Your Story Mini to make sure it bound together tightly. Make sure to go back to Robyn's blog when you are finished and so you can see where to purchase her awesome newest (and other) sets!!! Your next stop on the hop is Edna (Create With Expression)! Have fun and I hope to see your project this weekend!!! I do have a small giveaway for you -- ribbon and a 6x6 scrapbook stack. Just leave one comment and I will draw a winner on Wednesday!! Hello everyone! It's been such a busy week that I have not had time to play with my Cricut! And I got three new cartridges in the mail this week :) But I will make time this weekend and hopefully make some scrapbook pages since I just got the Scrap'n Easle yesterday too. I can't wait to use it!! I used the free Scrappy Hollow embellishments and a dotty background that came with the software from My Memories. Don't forget that you can use the coupon code I have in my side bar to buy this software for yourself and save $10! 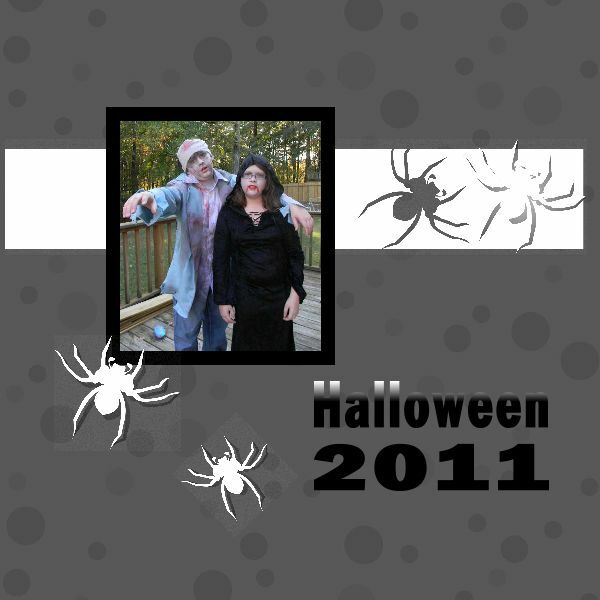 I added the border on the picture and the word art, but everything else was from Spooky Town! This is how my kids dressed for Halloween this year. I miss the cute days when they were princes and princesses!! But my son is a ham, and I could only get his picture with him acting like a Zombie too. Have a great day!! Oh, and there is one more winner that I have not heard from on my 5 days of giveaways. It's Kimberli, who won the Martha Stewart Score Board. Please contact me soon so I can get it out to you! Love the stitching you did on the stocking! Plus, I really like that red piece of cardstock you layered so that the stocking pops off the patterned paper. Fabulous! Happy early birthday! Wow, I just love the layouts. I already have the My Memories Studio, but the Smash book would be fun to play with. TFS. Jen said... There were way too many to choose from! They are all so neat, but my favorites would have to be Cowboy Up and the Farm packs. I have never used digital software, it looks easy and fun! Gorgeous card, I love the bright colors!! Love all the PINK on that card! And the sentiment is - as always - PERFECT! This is a great card Helen! I agree about sympathy cards being tough, they are for me too.....I was so happy when Robyn announced this set! Wow--that's a lot of winners :) I haven't ever given away so much at once, and it's a lot of fun!! Winners, please send me an email at craftingcricutmom@gmail.com with you shipping information and the prize you won and I will get these out to you as soon as I can! Today's challenge is For the Birds--no really, use a bird or bird cage, or get ready for Thanksgiving and use a turkey :) I choose to go with this adorable owl! Thanks so much for visiting me on all my Challenge Me Monday days. I hope that you continue to visit if you like what you see:) And be sure to join in the fun every week at Fantabulous Cricut and you will likely see me there!! Hi everyone! Here's a quick card I made to send to someone who actually has the same birthday that I do. She loves girafees and the color blue so I included both! Hi everyone! Today is the last day of my 5 day giveaways. This has been so much fun!! First I have a sympathy card to show you with My Pink Stamper's new Sympathy and Comfort set. I am really not good at these cards. That's it! The cardstock is very pretty in person and nice and shimmery. Just leave one comment on this post for your chance to win. Be sure to visit the posts for the other 4 days to see what else you can try to win! Then come back on Monday to see if you have won. All entries will close at 9pm Sunday night. Hello again! I have another sample from My Pink Stamper's From the Heart new stamp release to show you today :) This is a fabulous set, and one of the bigger ones too! Now on to Day 4 of my 5 Day giveaways. You can leave a comment on this post for your chance to win 3 Cuttlebug folders: Kassie's Brocade, Invitation and Shell Collage. You have until Sunday night to leave your comments and then check back on Monday to see if you won! Hi everyone! Here's another card made with the new My Pink Stamper From the Heart set. This was on her blog yesterday and I just wanted to give you the details. Make sure to check out all of My Pink Stamper's new sets!! They are fabulous! 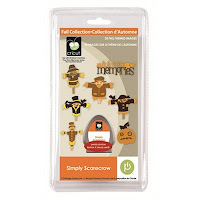 Today's giveaway is ......... a Martha Stewart Score Board!! Just leave a comment on today's post for your chance to win. You have until Sunday night to enter all my giveaways this week. Then check back on Monday to see if you won!! Hello everyone! This is just the longest week at work--it really seems like it should be later than Wednesday!! This was aother freebie from the My Memories site. I think the ready made layouts are my favorite--this makes it so quick and easy! And this was page 6. I think I need to explore some more and make someting besides snow pictures next. 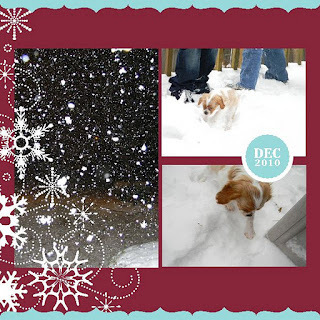 Make sure to visit the My Memories site to see all the wonderful pages and extras you can create--they even have some Christmas tags you can make! So, leave one comment and you will be entered for a chance to win the My Memories software (I will add the names to ones left on last Wednesday's post) and another person will win a red Smashbook!! These are so fun!! I have one that I started for our family fun memorabilia and things like tickets stubs that I don't add to my regular scrapbooks. I have more giveaways every day through Saturday. All giveaways are open until Sunday night at 10pm EST and winners will be announced on Monday, October 31. Don't forget to stop by the My Pink Stamper blog everyday this week to see her newest sets!! They are just so much fun and we all had a great time making samples to show you! I have some giveaways today and the next several! My birthday is coming up so I thought I would host a few giveaways today through Saturday -- 5 different prizes! Check back everyday to see what's up for grabs that day. I will draw all winners on Monday, October 31--my birthday :) Tuesday's Treat is a My Pink Stamper stamp set--Fabulous Phrases, DCWV 6x6 Family and Friends Scrapbook stack, and a roll of ivory ribbon. This set is one of my favorites and can't wait to get her new set she just came out with :) Leave one comment on this post for today's giveaway. And make sure to check back on Monday to see if you won!